On the heels of releasing his eighth project of 2018 with Back From the Dead 3, Chief Keef delivered another unique surprise for fans to close out the year. 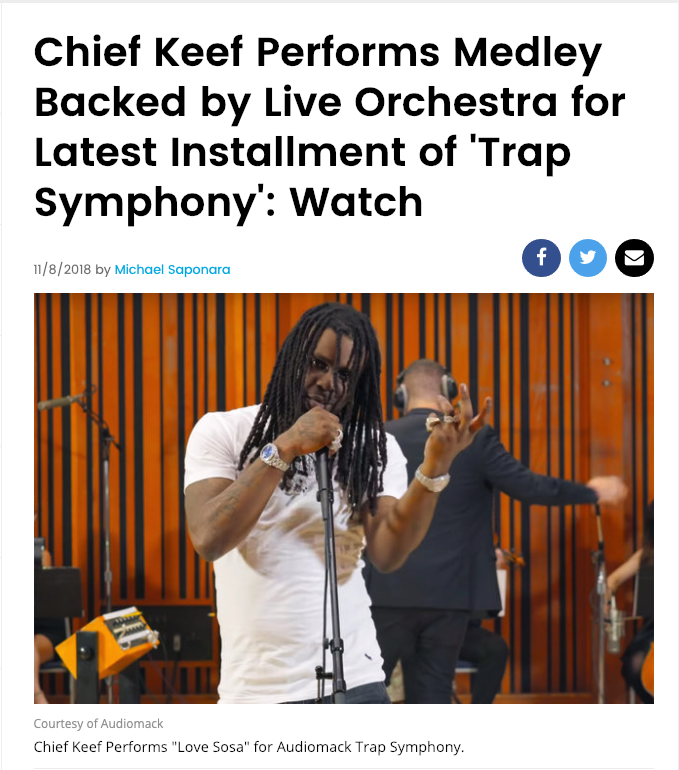 The Chicago native stars in the latest episode of Audiomack’s Trap Symphony series, which dropped Wednesday, featuring a fantasy collaboration mixing Keef’s drill music with a live orchestra for a bizarrely tuneful medley. The smooth, string-laden ensemble that backed Chief Keef’s vocals was made up of violin, viola, cello, piano and some thumping drums. Seeing Keef transform into Keith “Mozart” is truly must-watch cinema.